Midnight in the gardens of the Alhambra, the red castle. The wandering breeze brings to mind love. Under the waving jets of the fountains, as silent as the petrified marble. With my eyes closed, hands stretched out: I sleepwalk in your perfume. Cradle-me, song of jasmine, take me in your arms, my orange blossom. How dark it is, the wood of your guitars. They weep in the moonlight. How dark their hair is, your gypsies. Their skirts make my heart spin. Granada, I dream of your nights, so warm. In the heart of the romantic Nasrid Palace, atop the invincible Alcabeza citadel, relentlessly, my desire roams. Listen to my voice calling you. Granada, tonight I will be faithful to you. Your sky is above my land, my only light. 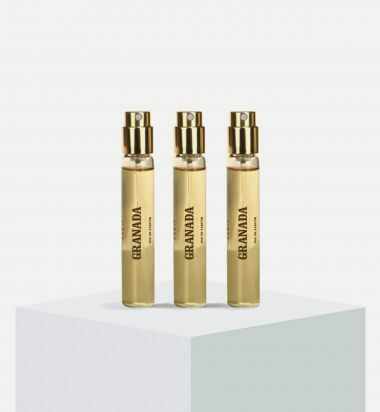 Granada is a fragrance of abandonment, devotion and pure sentiment, in which jasmine gives itself over and orange blossom renews its vows. A smooth and delicate floral accord structured round flowers that are inexorably linked to the image of love: during the Antiquity, it was customary to see young brides wearing wreathes of orange blossoms. Kama, the Indian God of Love, used jasmine-tipped arrows to pierce the hearts of his victims. Jasmine is also a token of love in Tunisia, and a sign of beauty and temptation in the East. Symbols derived from many origins, but diversity reigns in Granada, a city that revels in it. POMEGRANATE, ORANGE BLOSSOM ABSOLUTE & JASMINE SAMBAC ABSOLUTE. Twelve churches hewn from the Ethiopian rock in a single night. Vanilla. Mineral rocks sculpted, cloaked in pink, emerge from the earth. Labdanum resin. Heavenly builders driven by a mystical fervour. Jasmine absolute. Mysterious sanctuaries, protected by the frankincense of an age-old ritual. Oil of patchouli. The hum of bees in the flowers, a joyous zeal. Rose. The fate that makes a fragrance a story. Lalibela. Paris is a fete and the artists are its stars. They meet in the Quartier Latin, the gathering place for youth and Bohemians, dreams of paper, romance and color. Stone, slate and zinc are pieced together like a jigsaw beneath the Paris rooftops. The scent of book pages melts with jazzy airs. Behind each half-open door hides a stolen kiss. 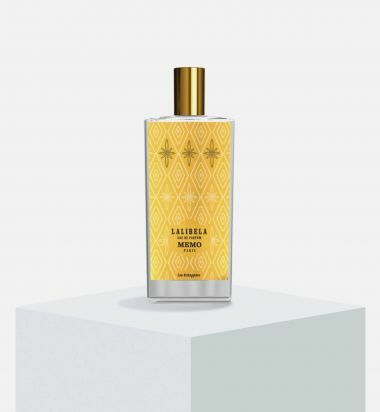 Quartier Latin, intermingling, cedar, sandalwood, giddy with freedom, Tonka bean, radiantly yoked by amber. Heart of Paris that flutters in a Latin fire. 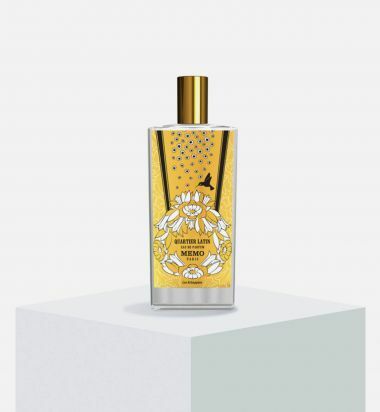 Everything is livelier, everything seems to stir with remarkable intensity and the fragrance's palpitation of sandalwood and cedar suits it well. This striking and enveloping accord brings out the cedary scent of paper and pencils, the scent of leather bindings, newspapers, wood wax, swirls of smoke and laughter in the vapors of alcohol. 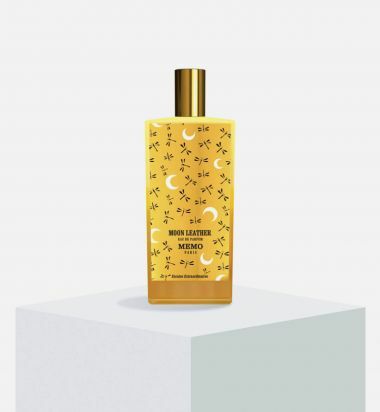 An artistic, original fragrance that Tonka bean and amber render even more inhabited. Just outside of view, the Seine gently rocks the Latin Quarter. The memory of the river flows down the cobblestone streets and in between the streetlights. And at the entrances to heavy carriage gates, the companion of an embrace, in the secret of the stone, the airy fragrance unfurls to show the attraction of this legendary quarter, Paris will always be Paris. 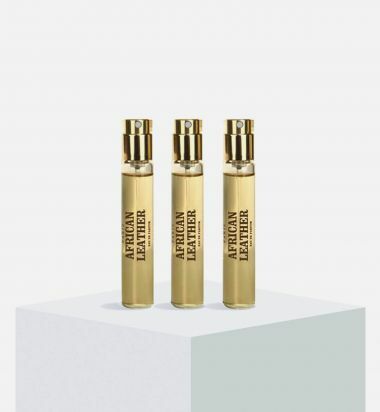 Oil of clove leaf, oil of cedar, oil of Australian sandalwood, tonka bean absolute and amber accord. Oil of cedar, oil of Australian sandalwood, and amber accord. Cuirs Nomades endeavours to explore the places where leather blossoms. Is leather not, in essence, nomadic? The travel tool par excellence, the faithful companion of globetrotters, curious minds and adventurers off to discover the world, a leather bag their only witness. In keeping with this theme, Memo has produced its own trunk as a symbolic home for all the fragrances which are created on and by our travels. A true treasure chest for olfactory round trips. 10 mL/ 0.34 fl. oz. each. An osmanthus submerged in a cloud of tea. Times stands still over lake Inlé in Burma. The women take up their silk embroidery and the men dance above the waters, in boats that resemble palaces. The fruit and vegetables market is coming to life in the refreshing mist. You can see the first light of the day, hear the first sound of celebration—a farewell to night or a welcome to the dawn. 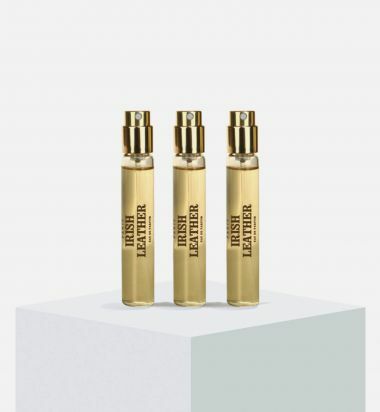 The Inlé fragrance, like a cornucopia of bergamot, artemisia, osmanthus, jasmine, absolute of Maté, spices, iris and cedar, pays its own tribute to a tradition of kindness. 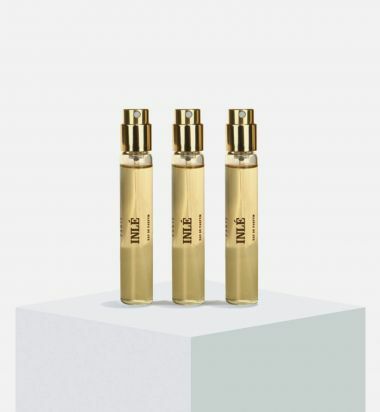 To compose a fragrance and name it Inlé is to celebrate an olfactory generosity that is unique to the Myanmar lake. It is about capturing in a bottle a world of sensations on a par with the site. This is an eau de parfum that prolongs the dream of drifting on fragrant waters: cradle of local cultures, production of life necessities, the joys of community, the cobalt-colored lake is home to lush production bursting with scents. A fragrance like an offering to the skin. Bergamot, artemisia, mint essence, osmanthus, jasmine absolute, mate absolute, flour essence & musk. OSMANTHUS, MATE ABSOLUTE & JASMINE ABSOLUTE. It's one of those icy, biting mornings. The sun scarcely manages to break through the heavy grey clouds. The air is crisp and dry, and the wind slips beneath my clothes. The North wind whips the grass that sticks to my boots. I walk into the stable and swing open the wooden tack room doors, freeing the burning scent of leather, wood, amber and honey. Its age-old odor stands out sharply in the frozen morning air. My horse whinnies softly. It's the smell of her freedom. The leather gathers in the wind, the grass warms with the wood. Irish Leather gallops off into the horizon. Ireland, a country with rolling hills, is like an open book that makes you want to deeply breathe in the fresh air, filling your lungs and inhaling the authentic fragrance of the rural countryside. Memo is sensitive to this scenery's identity and dynamic energy. With deliberate, creative and personal affinity, John Molloy, the brand's Irish co-founder, has conveyed the spirit of his native land. 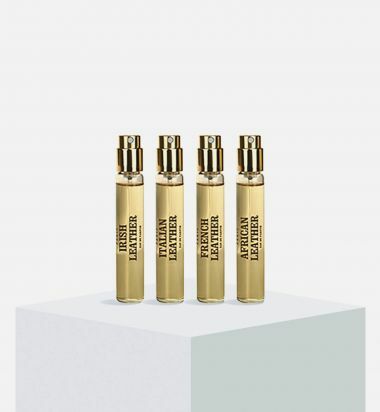 Pink pepper, oil of clary sage, juniper berry, green maté absolute, oil of flouve, iris concrete, tonka bean absolute, leather accord, oil of birch and amber accord. JUNIPER BERRY, GREEN MATE ABSOLUTE & LEATHER. Time stands still over lake Inlé in Burma. Jasmine absolute. Boats like little palaces. Oil of bergamot. Floating gardens and orchards, laden with plants and vegetation, treasure troves of scents and flavours. Osmanthus absolute. The first light of day and the first sounds of a celebration, a farewell to night or a welcome to dawn. Oil of mint. A shimmering lake, a russet sky. Maté absolute. Drifting clouds, radiant lights. Inlé Iris. 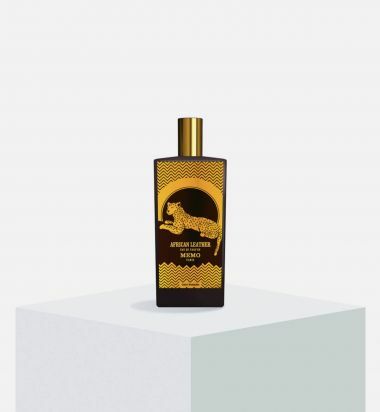 Elephant trunk, cardamom, giraffe neck, bergamot, wild cat, sand, leopard spots, saffron, rhinoceros horn, cumin, lion mane, patchouli, gazelle hoof, geranium, nocturnal bushbabies, celestial sphere, bat-eared fox, grapefruit, snake skin, oud accord, eagle eye, vetiver, buffalo neck, musk, green monitor lizards, moss, blue wildebeest, winter sun, zebra stripes, leather accord, cheetah paws, cedar, antelopes racing, savannah, meerkat smiles, spices, crocodile tooth, heat. 3 x 10 mL/ 0.34 fl. oz.